A career with Fenech & Fenech Advocates allows you to form part of a dynamic, creative and innovative group where your contribution and efforts will be highly valued. 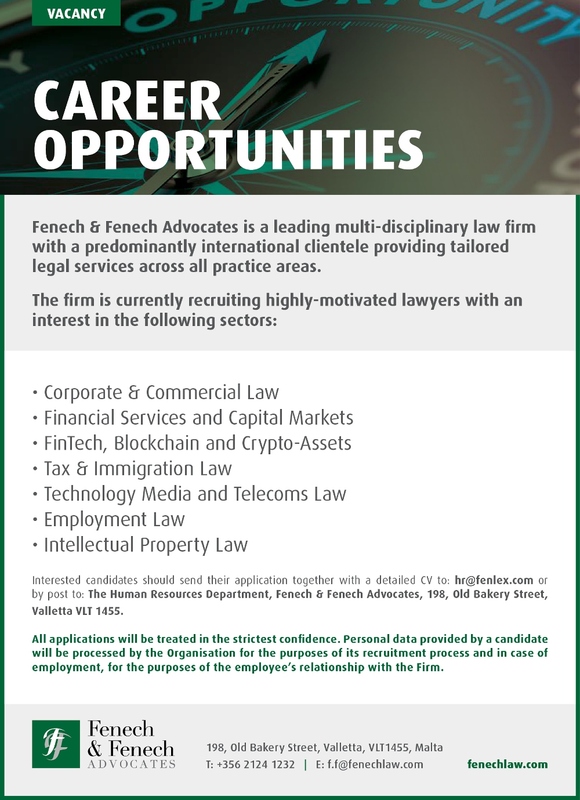 Fenech & Fenech Advocates continues to grow and maintain the progression of its work force by constantly looking out for enthusiastic and motivated individuals. Our exceptional performance is the result of hard working and devoted team members.